Online Translation Services - Rephraserz.com - Page 5 of 8 - Rephraserz Online translation services in the financial, technical, marketing and legal fields. Instant translation quote. 24hr support. Dutch translation services should help you if you are thinking of taking your business to Netherlands or Belgium. Spoken by more than 23 million people, Dutch is among the top three most widely spoken Germanic languages that include English and German. The great reputation of Netherlands for embracing commerce makes it an excellent location to set up your business. At the same time, Belgium can also contribute a lot towards the growth of your business. Nevertheless, the business culture at both these places can be very different from that of your home country, which is why you may need the services of a Dutch professional translation company. While looking for a Dutch translation company you have to see if they provide localization as well as interpreter services that make it easier for you to communicate with your new target audience and help them accept your business as one of their own. Look for a translation company that has expert linguists who can translate your content in an understandable and intelligible way. Make sure the company you choose is cheap and reliable and offers quality translation services with high level of accuracy. 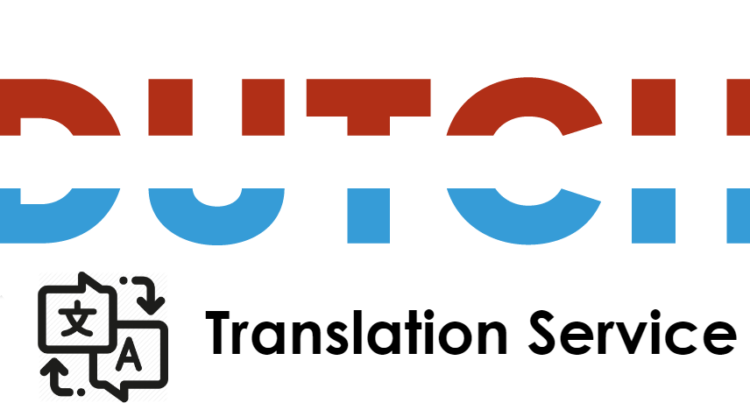 Look for Dutch document translation companies that provide next day and same day services and cater to the urgent translation requirements of their clients. Make sure the translation company you choose offers 24 hour services so that you can place your orders at any time of your convenience. Apart from documents, make sure the translation company also offers audio and video translations and accepts files in various formats such as MP3, MP4, WMV, AIF, M4A, MOV, AVI, VOB, AMR, WMA, OGG, and WAV. The company should provide medical translation, academic translation, legal translation, business translation, and also Dutch certificate translation. Rephraserz is one of the best Dutch Translation Services to consider if you are looking for certified translation companies that offer high-quality services worldwide. 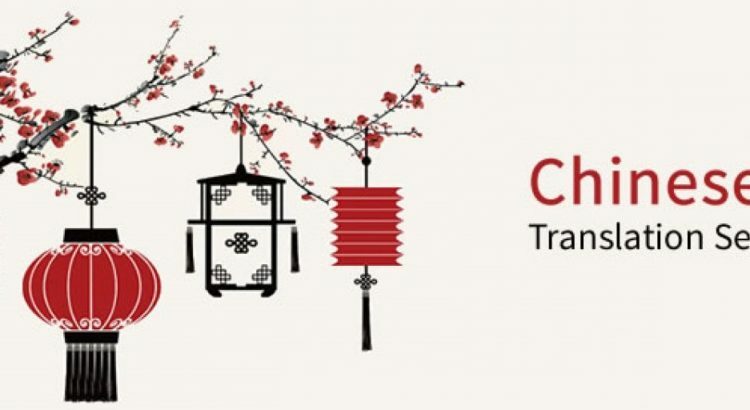 Chinese translation services are very popular across the world since they fulfill a very important need of many businesses – translating their documents into Chinese language. Chinese language actually forms a group of related language varieties that include Mandarin, Jin, Wu, Gan, Xiang, Min, Hakka, Yue, Ping,and Huizhou. While 70% of the Chinese population speaks Mandarin, there are also the other dialects that are still spoken in China. As the second largest consumer market in the world, China offers unlimited opportunities to businesses that wish to expand their operations. The highly sophisticated manufacturing industry of China has lured many US-based businesses to partner with Chinese companies and improve their supply chain. However, the huge cultural differences make it difficult for them to be accepted by the Chinese as one of their own. The solution lies in hiring a Chinese professional translation service that can localize your business for your Chinese audience. Although there are many Chinese Language Translation services across different parts of the world, there are a few things you will have to consider before deciding on the best one that will suffice your Chinese translation needs. You have to look for a company that not only provides quality Chinese document translation with high level of accuracy, but is also cheap and reliable. It is advisable to hire a company that offers 24 hours service. This way you can place your orders and receive your deliveries whenever you want, irrespective of the time zone you are in. Also make sure such a service caters to your urgent requirements, by offering next day and even same day service. If you have different types of content to be translated, look for a company that offers medical, legal, academic, financial, as well as Chinese certificate translation services. Make sure they accept audio and video files in formats like MP3, MP4, WMV, AIF, M4A, MOV, AVI, VOB, AMR, WMA, OGG, and WAV. Rephraserz would be a great choice if you are looking for expert Chinese Translation Services that can help you communicate with your Chinese audience clearly. As a certified translation company we cater to the needs of worldwide businesses across industries. 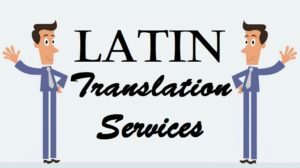 Latin translation services can seem useful to you if you are looking at translating any of your content into Latin or from Latin to any language of your choice. Originated in Latium, a region around ancient Rome, Latin gained a lot of significance during the Roman Empire. Most Romance languages such as French, Italian, and Spanish have descended from Latin. 80% of the scholarly English Words are also derived from Latin. As the lingua franca of West, Latin dominated the western region of the world for more than a thousand years until it was replaced by French and English. Although not used for communication, there are many Latin texts that are yet to be translated into modern languages, which is why Latin is still being taught in many high schools and universities. It is the official language of Vatican City and also of the Catholic Church that dominates most of the world. 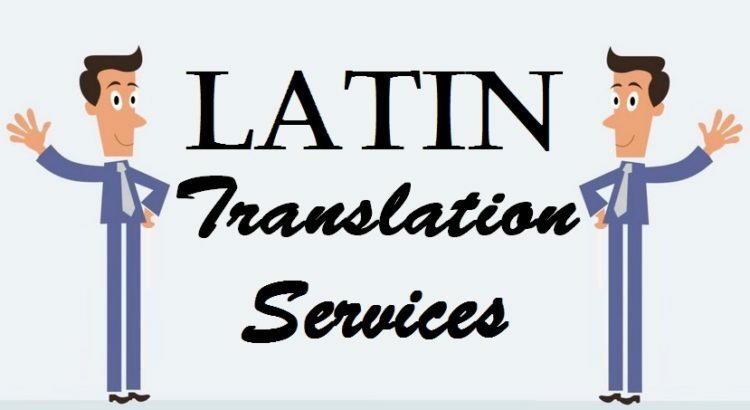 However, considering the rare nature of Latin, anyone looking for English to Latin or Latin to English translation, should seek the help of Latin Language Translation experts if they want a perfect job to be done. 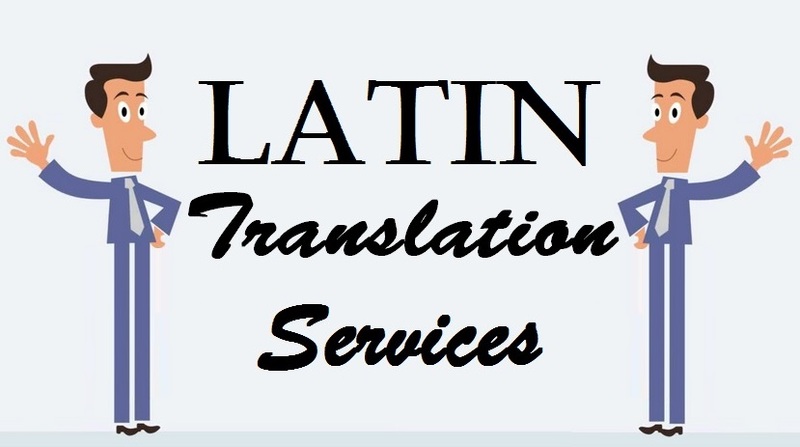 Quick Turnaround Time: A Latin document Translation Company that caters to urgent requirements and provides Next day and even same day services can be one of the best choices. Accuracy: Look for expert linguists who can understand the context of your content and give you an accurate translation that can be well-understood by your audience. 24 hours service: Hiring a company that offers round the clock service would be good as you can place orders and receive delivery at your convenience. Rephraserz is a certified translation company that offers accurate Latin translation services to different kinds of clients across the world. We offer different kinds of translation such as medical, legal, academic, and Latin certificate translation to match your needs. Apart from documents, we also accept audio and video files in various formats such as MP3, MP4, WMV, AIF, M4A, MOV, AVI, VOB, AMR, WMA, OGG, and WAV.